June 26 update: This event has now come and gone but you can become informed about the authors’ work by visiting the websites www.feedmeright.co.nz and http://www.urbanremedy.co.nz/. 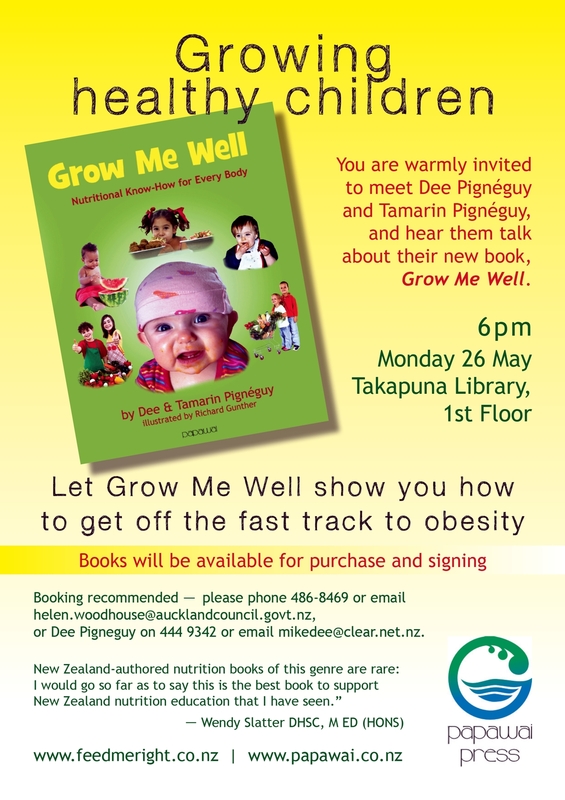 Following on from the sell-out success of their book Feed Me Right, mother and daughter team Dee and Tamarin Pignéguy now bring you Grow Me Well, which takes you further on your journey towards understanding the link between healthy food and a healthy body. This excellent book is reviewed in issue 13 of The NZ Journal of Natural Medicine. There will be a book launch on Monday, May 26 on the first floor of Auckland’s Takapuna Library starting from 6 pm.